Brand Architecture: What Is a Freestanding Brand? This post is the fifth in our series on brand architecture. Other posts are: What Is Brand Architecture?, How to Choose Your Brand Architecture?, What Is a Sub-Brand?, What Is a Masterbrand? and What Is an Endorser Brand? This post focuses on the freestanding brand. A freestanding brand is a separate brand for a product or service offering. It is purposely created to stand apart and be independent from the other brands in the portfolio of a business. Proctor & Gamble is the parent of a number of freestanding brands. Notable Proctor & Gamble freestanding brands include: Pringles, Old Spice, Luvs Diapers and Gillette. These products work well as freestanding brands because each brand has its own distinct audience and each has its own brand promise, personality and position. Ultimately, there are too many differences in brand strategy for these products to be sensibly housed under the same brand. When Is a Freestanding Brand Optimal? A freestanding brand architecture is optimal when a brand portfolio contains offerings that have conflicting audiences or the offerings have either (i) nothing in common or (ii) are in conflict. The brand marketing and the customer experience for each freestanding brand offering will be separate and distinct. 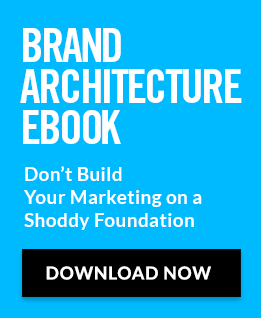 Freestanding brand architecture is popular with marketers, product managers, risk managers and M&A teams. Marketers love freestanding brands as a result of the brand marketing freedom they allow, including freedom to create distinctive brand strategy, name, logo, design, creative campaigns and messages. Product managers often love freestanding architecture since it allows them to “put their mark” on their offering. Risk managers favour freestanding brand because the separation of the brands can reduce cross-crisis contagion and brand damage if another brand in the brand portfolio goes into crisis. This separation makes particular sense where the brands are supported by business units which are separate and distinct, including different teams, production plants and day-to-day management. M&A teams find that freestanding brand architecture works well for businesses engaged in buying and selling offerings in their portfolio. Ownership of a product or service branded under a freestanding brand can generally be changed without requiring a costly re-branding effort. The opportunity cost of brand marketing dollars not being focused to build the corporate brand, sub-brands or a masterbrand. Every freestanding brand requires its own brand strategy, branding, identity, creative, and marketing. Each freestanding brand may also require legal costs associated with naming and trademarks. The internal resources and time-to-market cost associated with planning and implementing the freestanding brand activities. Generally, the time and resources required will be greater than if the new offering was being added under a masterbrand or a sub-brand structure. What are the audiences for each of your offerings? Is there overlap in key audience characteristics? Or are the audience characteristics distinct? What are the existing brand promises, personalities or positions of each offering? Are they: (i) the same or similar or (ii) distinct or at odds? Are there real differences in how you produce and deliver the proposed freestanding brand offering? For example, are operations, sales and customer service separate and unique from other offerings? Can your business afford the additional costs associated with separate freestanding brands?